One of New Zealand's great rail journeys - KiwiRail’s iconic Coastal Pacific scenic journey - will roll again from December 1 this year, two years after the service was put on hold while the railway line was rebuilt following the devastating Kaikoura earthquake. 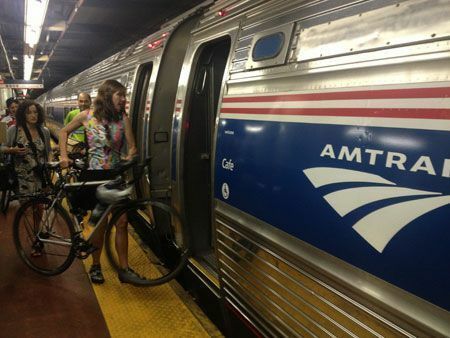 Starting July 26, bicycles will be accepted aboard the Amtrak Wolverine Service (Trains 350-355), sponsored by the Michigan Department of Transportation (MDOT) with three daily round-trips between Pontiac and Chicago, via Detroit, Dearborn, Jackson and other stops. VIA Rail Canada (VIA Rail) is displaying the Canada-China Year of Tourism (CCYT) logo on some of its trains until September. VIA Rail is seizing this opportunity to present Chinese tourists a unique experience and the chance to discover by train some of the 400 communities it serves. Russian Railways (RZD) plans to open business lounges for premium class passengers at railway stations, Russian Railways corporate television reported. VISITSCOTLAND is encouraging visitors, especially young people, to travel to the Scottish Borders by train this summer to experience the region’s unique Common Ridings and festivals. Amtrak is expecting heavy ridership as the summer season kicks off and customers head to the rails for convenient and flexible summer vacations. Affordable fares and convenient service make Amtrak ideal for summer family travel. 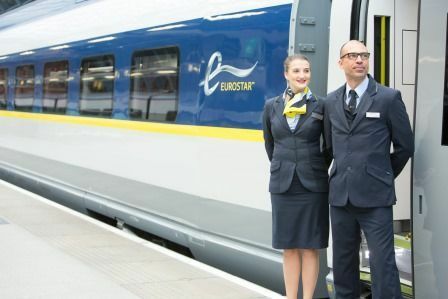 Customers are encouraged to book early for the best rates and as advance reservations indicate, there is an increased demand for July travel compared to last summer. Amtrak travelers on the Northeast Corridor (NEC) will soon enjoy improved Wi-Fi, with a more reliable and easier connection to high-speed broadband. Heathrow Express (‘HEx’) rail service has been preserved to at least 2028 under a new agreement, which confirms fast, non-stop rail connections for Heathrow passengers will see Heathrow Airport retaining the commercial aspects including marketing, ticket pricing and revenue, while FirstGroup’s Great Western Railway (‘GWR’) subsidiary will run the operational aspects of the Heathrow Express service under a management contract from later this year.